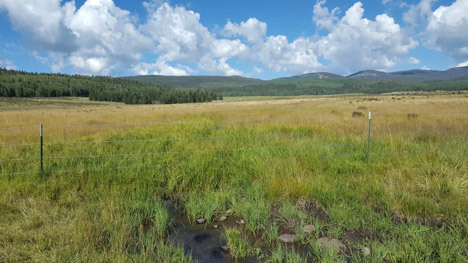 The Jim Creek Riparian Protection and Restoration Project, a collaborative volunteer based initiative that will provide long term protection of a highly valuable resource has come to fruition. The project began with a goal to protect an important native trout fishery and ended up being so much more. 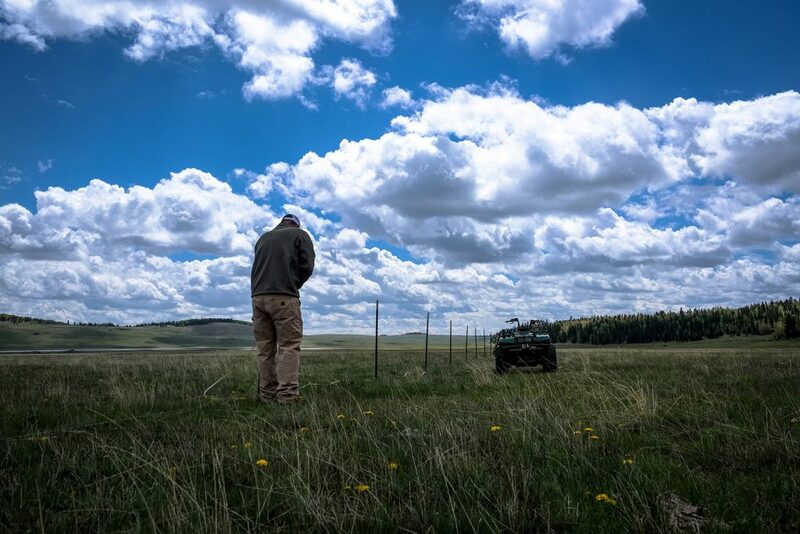 The collaboration of three volunteer organizations, two state agencies, grazing lessees, and Conejos County resulted in a project that reached beyond expectations to connect people with a special place and an important conservation mission for the native Rio Grande Cutthroat trout. The protected riparian area of Jim Creek resulted in the protection of habitat along 2.14 miles of perennial stream. The State Land Board proved to be an excellent partner in this project. Not only did the State Land Board allow us to use existing fence lines, which saved $9,500.00 dollars and expanded the protected area, they also put this parcel of land into their stewardship trust program which provides long term protection. In the end, we had some bumps and delays, and fell short of some goals, but we ended the project with a new beginning by designing habitat treatments for the next phase of in-stream habitat restoration with funding through Colorado Trout Unlimited, Rocky Mountain Flyathlon, and Living Waters Fly Fishing. The GOCO dollars spent on the riparian protection piece were critical to securing this funding. The project partners intend to use this design work as leverage for other grant opportunities that will help pay for the in-stream habitat restoration work. The San Luis Valley Chapter of Trout Unlimited has adopted this project as part of its core conservation work and will maintain the fence annually through a project weekend. The project work will therefore be protected, maintained, and monitored over many years to come. Photos and Descriptions from the project. 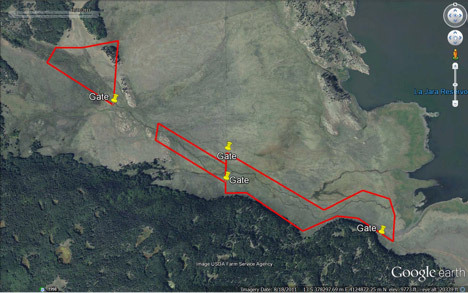 The Red lines show the final fenced portion of the project with three separate exclosures and gates. Looking upstream, this fence line photo clearly shows the effect of the exclosure on riparian sedges ( only 1 growing season! ), which are tremendous banks stabilizers and in small streams like Jim Creek provide shade, cover and habitat for terrestrial insects that fall into the creek and help sustain trout populations. 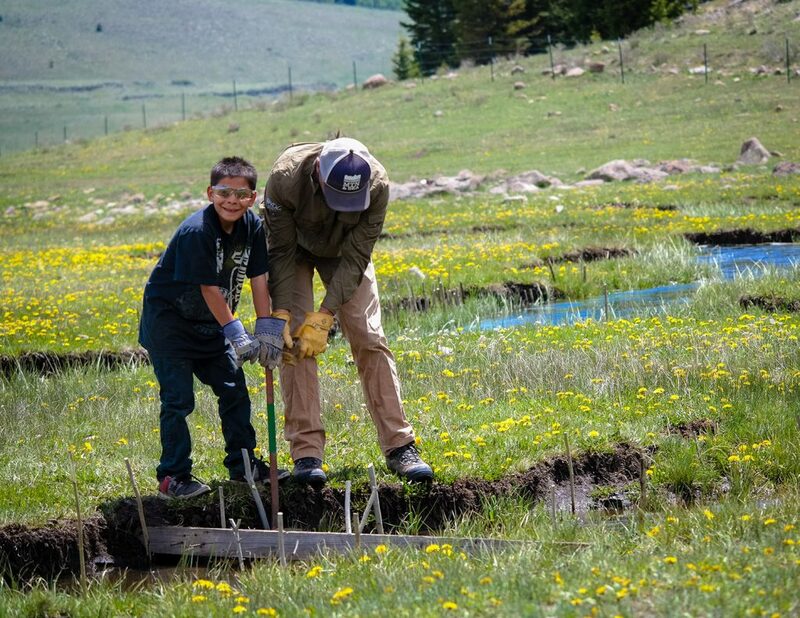 A young volunteer from the move mountains youth group helps Brinkley Messick of Volunteers for Outdoors Colorado set willow cuttings on an eroded bank on Jim Creek. Building Fence. La Jara Reservoir is visible in the background. 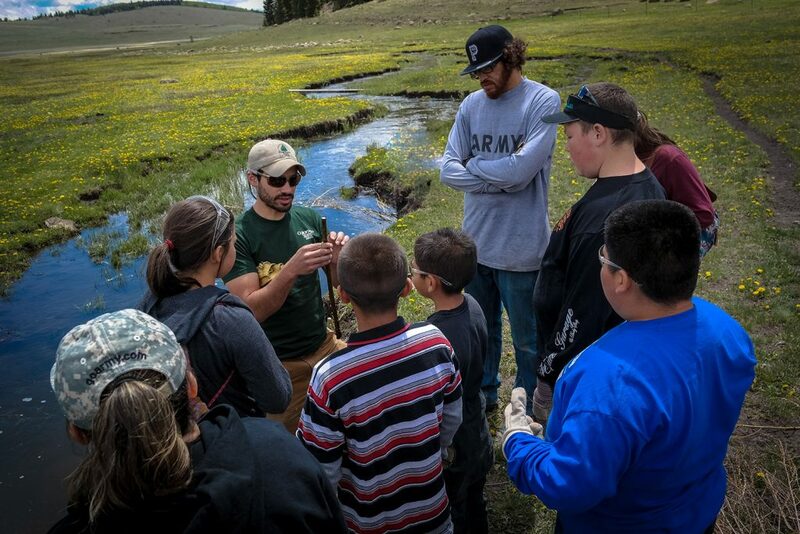 Sam Scavo with the Colorado State Forest Service teaches the Move Mountains Youth group about planting willows. 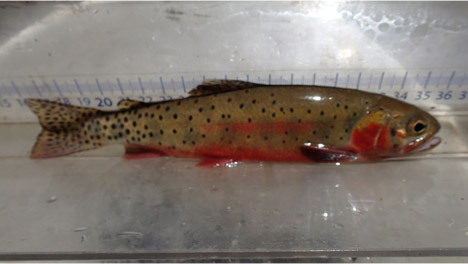 This Rio Grande Cutthroat was captured in the project area during the initial fisheries survey with CPW. This survey provides a baseline for evaluating the impacts of the project to the fishery over time.